The birth of any operating system, and this is true for JANOS (Series 4) as well, begins with serial access to a command line interface. There are often boot and diagnostic messages transmitted over that first communications channel. 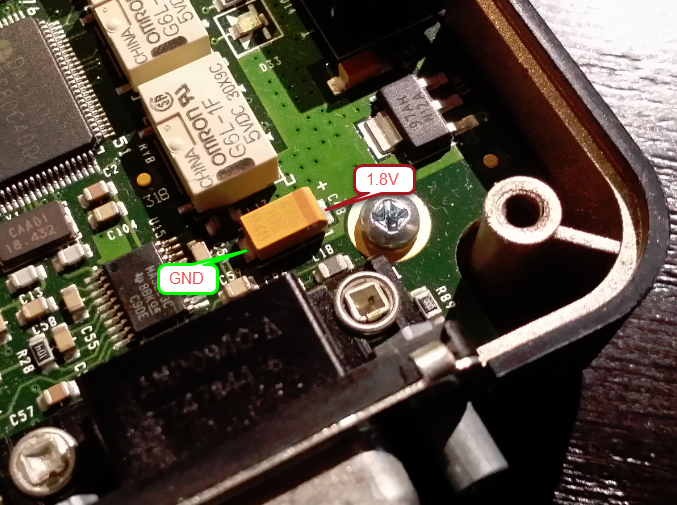 The Series 3 is based up the TINI Operating System and the RS-232 (COM) port located at the bottom of the unit next to the ETHERNET (LAN) port is that very diagnostic channel for TINI. The DB-9F connector there was designed to be directly connected to the COM serial port on the PC. Only a straight-thru M-F serial cable was required. Communications are at 115.2 Kbaud, 8 data bits, 1 stop bit and no parity. There is no handshake and this port is 3-wire (Rx, Tx and GND). Today no PC is manufactured with such a COM port. Fortunately USB-to-Serial adapters are readily available and provide the necessary compatible connection point. If you are working with the JNIOR for the first time you may want to first try this serial connection. A new unit or one that has been configured to work elsewhere will not be immediately compatible with your network. 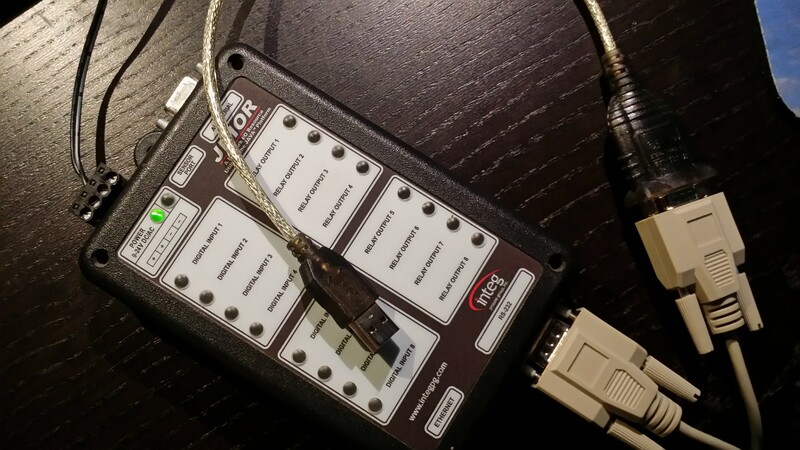 While there are alternative solutions to the network setup the serial connection is the most basic. It is the only place where you can “watch” the unit go through it’s boot procedures. This connection point and its use remain consistent through the Series 4 products. The command line interface found there is the same. There is a huge difference in response (where the Series 4 shines) and the diagnostic messages are different. Now with the JNIOR powered and the serial port connected to the PC you can use a Terminal program. We used to use hypertext but now MS no longer distributes that. Nice of them, eh? You can use PuTTY (http://www.putty.org/) and configure for the proper baud rate (115,200) and data format (8/1/none). If you open the port and strike any key (i.e. Enter) you should obtain something like the following on a Series 3). 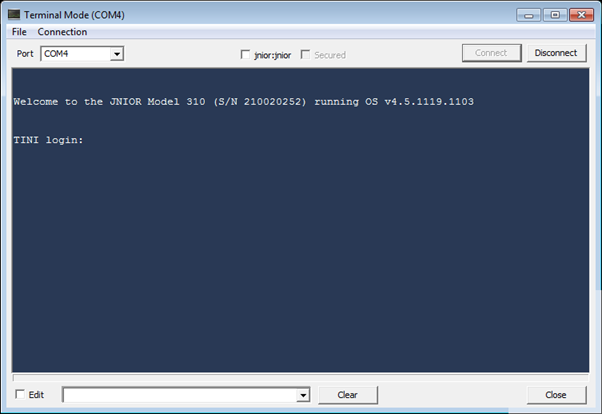 Here, for example, is a terminal program that I designed for JNIOR use in-house but PuTTY works perfectly. This one has the capability to force a jnior:jnior login (administrator account ‘jnior’, default password ‘jnior’) because, as you can imagine, we here at INTEG log into JNIORs a lot! If you have obtained your JNIOR from a prior installation the passwords may have been changed. There is a significant chance though that they have not and the above jnior:jnior login could work. Most Series 3 JNIORs have gone into physically secure networks where customers have not had the need to vary from default passwords. If you can successfully login to the ‘jnior’ account you will reach the command line. 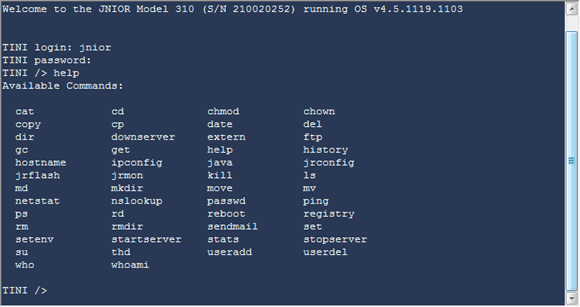 Note that if you access the command line through a network Telnet connection the ‘TINI’ prompt is replaced by the unit’s defined hostname. Byte default the hostname is the unit’s serial number prefixed with ‘jr’. There are a number of commands available at this point. The command line here emulates some DOS commands and some Linux commands. the goal being that it should appear familiar to those that work in either environment. But there are differences and the HELP command can be used to retrieve some limited assistance. If the ‘jnior’ account password has been changed there is another administrator’s account that you can try. Try to login to the ‘admin’ account using the default password ‘admin’. The Series 3 does not have a USERS command that would list the set of defined users. This has been added in the Series 4. Most customers are unaware of the ‘jnior’ account out of necessity but are not aware that there are also ‘guest’, ‘user’ and ‘admin’ accounts the latter also being an administrator. On the Series 3 you can check the available accounts by displaying the content of the etc/passwd file. There is an entry in this file for each user. The username is apparent although the password is encrypted. The trailing user ID represents the user level. A ‘128’ signifies an administrator. A ’64’ a user who does not have administrator privileges but can control the unit’s outputs. And the ‘0’ representing a guest who can monitor the JNIOR’s IO status but cannot alter anything. It is highly likely that the prior administrator of your JNIOR was unaware of these accounts and you can gain access using the ‘admin’ account. You can then utilize the PASSWD command to reset the password for the ‘jnior’ account. Um, perhaps setting it back to the default until you place your Series 3 JNIOR in service on-line someplace. Note that you can use the ‘rm etc/passwd’ command and delete the passwd file and reboot (use the ‘reboot’ command or pull power). The boot process will restore the default etc/passwd file and therefore all of the default accounts. If you cannot gain access with either the ‘jnior’ or ‘admin’ accounts then a more elaborate procedure will be required. That is beyond the scope of this thread. I’ll address it in another. 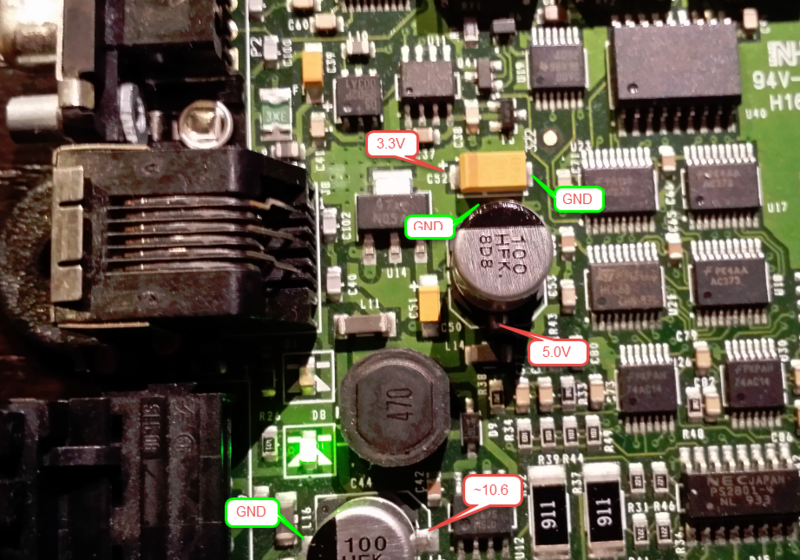 So now you are connected to the serial COM port (labelled “RS-232”) and it is supposedly the “diagnostic port”. That would tend to mean that the system might just blurt diagnostic messages out of this port regardless of what you might otherwise be using it for. Well that is true. Generally these messages are only issued during boot up. And, you can disable them if you are planning on using the port to communicate with another device. By the way the POR (Power On Reset) count reported in the above video is 00000001 because the battery in that unit is DEAD. This is likely going to be the case in many Series 3 units now that the line is over a decade old. If you are handy with the soldering iron that can be fixed. See the post 310/312/314 Battery Replacement. Under certain conditions the Series 3 JNIORs are not able to obtain IP addressing via DHCP. This is due to a flaw in the early implementation of IPv6, The bug is part of the built-in TINI operating system supplied by the component manufacturer and INTEG is not able to directly correct it. You can disable the use of IPv6 by making the call to com.dalsemi.tininet.TININet.enableIPv6 with a ‘false’ boolean parameter. As this would require a change to the OS release and the product being no longer in production and deprecated, the recommendation is to disable IPv6 on the local subnet or use a fixed IP address. Since a fixed IP address is usually required and few JNIORs actually use DHCP the OS update is not scheduled. Alternatively an application can be set to run on boot that makes the call. As you know we have been supporting ZIP and JAR files (they are the same as far as JANOS is concerned) for a while. JAR files being predominantly for application programs and Java support. More recent OS versions allow the WebServer to serve files directly out of a ZIP library. The DCP is an example where you need only add the www.zip file to the /flash folder to install the set of files that are the DCP. There is no need to expand the library. To do this JANOS is able to understand the ZIP/JAR file structure and extract data stored within it with either the STORE or DEFLATE methods. Presently JANOS cannot handle the LZW compression or many other ZIP options such as encryption. I had once developed a program called “Curator” which was a backup utility that worked much like SVN and stored all of its data using LZW compression. We were always amazed at the compression ratios. I had even worried at times that there might have been a problem in figuring that ratio because sometimes it seemed way off. But the program worked and accurately recovered data. So I do have code that I have written (although in C++ in that case) that can be used in JANOS to handle LZW. We just haven’t encountered it. Apparently DEFLATE is the compression method of choice. So I expect that we will encounter externally zipped libraries that JANOS will not be able to process. In those cases depending on the reasons for the incompatibility I am prepared to implement the fix. But the question now is whether or not there would be any use in the JAR command being able to compress files and create libraries? I realize it has been suggested and even entered in our Redmine system. Would this be something worth doing? The Series 3 JNIOR continues to be a reliable workhorse in a number of industries. 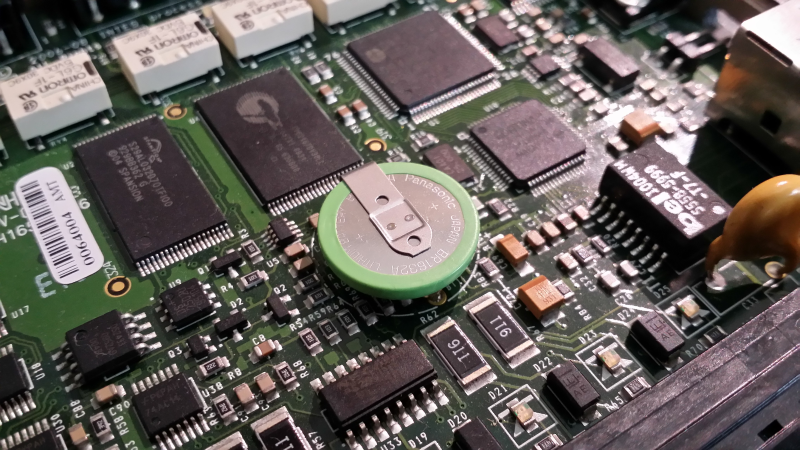 The Series 3 models (310, 312, and 314) however no longer represent the performance, reliability and stability of the current JNIOR controller line. We no longer produce them. While you would likely benefit from an upgrade to a Series 4 model (410, 412, or 414), doing so is still your decision. The change is almost seamless. Just know that INTEG will dedicate itself to the success of your conversion with the same attention and personal support that you have always experienced. Secure network connection using HTTPS, STARTTLS, etc. Faster execution making applications more responsive. Boots in only a few seconds. Dynamic Configuration Pages (DCP) replaces the Java Applet panel. Simpler approach to application programming makes user programming even more feasible. Enhanced WebServer provides for the development of state of the art Web interfaces. Provides Websockets alternative to the binary JNIOR Protocol. The JNIOR can create a network capture! This network capture can be loaded in a sniffer application such as Wireshark for protocol analysis. To do this simply follow a few steps. Create a telnet connection to the unit. DO NOT USE THE DCP AS THIS CREATES A LOT OF EXTRA TRAFFIC THAT WILL FILL UP THE BUFFER. Execute the netstat -r command. This step is optional. If you are going to conduct a test procedure then you migth want to execute this command so that only the traffic that occurs during your test will be captured. Use the telnet connection to execute the netstat -c command. This will create the capture file with the network buffer content. Use the DCP and the folders tab to pull the resulting network.ngpcap file. It is in the temp directory. It will be removed when the unit reboots! The USERADD command is used to add a new user to the system. There can be as many as 32 users. A unique user name no longer than 9 characters must be specified. Adds a user to the system. The new account can be tagged as Administrator, Control, or Disabled using the appropriate options. These account tags are described in detail in the USERS command topic. The following command creates the ‘tech’ account which will be tagged with Control permissions. It will initially be Disabled. Note that an initial password is requested. 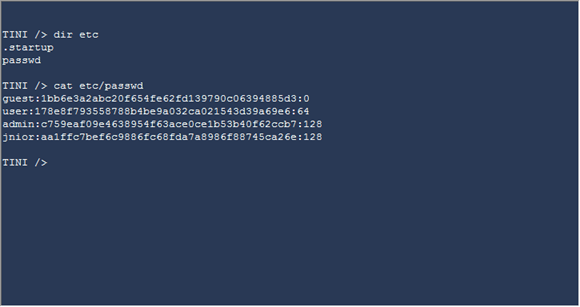 The password can later be changed using the PASSWD command.